The hunting logo has its own unique way of expressing itself and they are popularly used for hunting website and businesses. The logo designers are opting for these hunting logo designs to create the logos as per their client’s demand. There is a lot of variety available in these dramatic Cube Logos, so you’ll never be disappointed as you will exactly get what you were searching for! Be it the hunting lodges, outfitters or guides, using these marvelous designs, you can give a meaningful representation to the services that can make it look more understandable and clear for the audience. This is Bandit Arms hunting logo, which is a professionally designed logo design that can give your business a powerful identity. It allows you to change text and color using its named and organized layers. It is vector 100% resizable. This is a hunt more flagsticks logo, which is ideal for creating a strong brand identity. It is a professionally designed hunt logo that can make any company or brand well recognized with its pleasant appearance. This is a well-designed hunting logo, which is specially made for the hunting and archery club. It displays the structure of archery equipment that adds more interest to its overall outlook. This is an attractive hunting logo featuring antlers and bullet, which makes the skull of the deer. It is ideal to give your hunting business a tough and expressive identity. This is an amazing multipurpose job hunt logo, which is a perfect logo for agency, career, consultancy, outsource and other related business. It is fully layered logo template, which features text and color that can be easily modified as needed. This Arrow branding hunt logo comes with a simple and sober outlook that is easy to remember. This cool logo can be a perfect one for the hunting equipment manufacturing company or other related business. 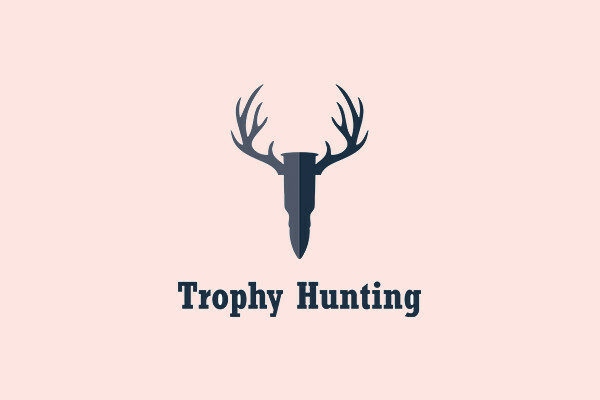 This cool hunting logo is specially designed for adventures and hunting apps as it gives it a nice and appropriate representation. It contains smart and attractive typography to showcase app or company’s name. 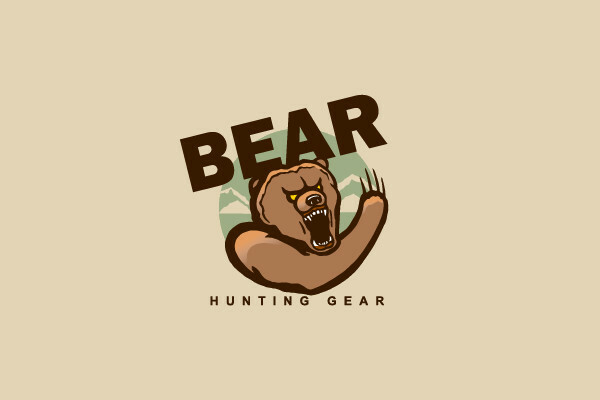 This bear hunting gear logo design features an angry bear that can say all about the objective of the hunting services. It allows simple customization of color and texts to meet every individual designing requirement. It is a highly creative and expressive logo design that can make your hunting services recognizable. This zombie devil hunt logo comes with easily editable color and texts option. It features horizontal, vertical version, and alternative color versions. This creatively designed hunt logo uses CMYK color and contains space for the imprinting tagline of the brand or company. This is elegant and attractive hunting logo design featuring patch shield that conveys the intention of the hunting services completely. It displays the shape of a shield with the structure of Bull Moose imprinted on it. Just with some editing, you can make these logo designs look perfect for symbolizing your hunting business and make it appear better from your competitors. If you are always on a run for the creative logo designs that can help you with your projects, then its better you add up all of these startling logo designs in your library now to keep them handy for the future use. Having them in your collection will definitely facilitate you to create some amazing hunting logos.